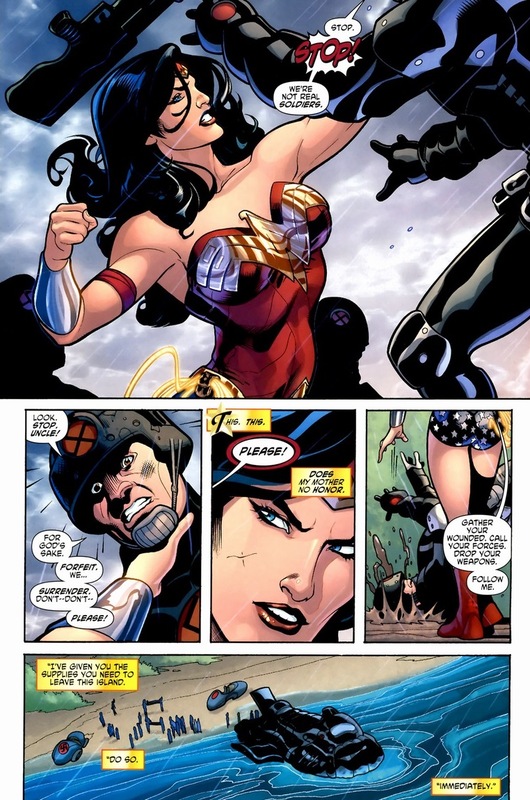 Wonder Woman can totally take Superman in a fight. She’s just about as strong, just about as fast, and a far better hand-to-hand fighter. Plus, she doesn’t have that wussy kryptonite weakness. 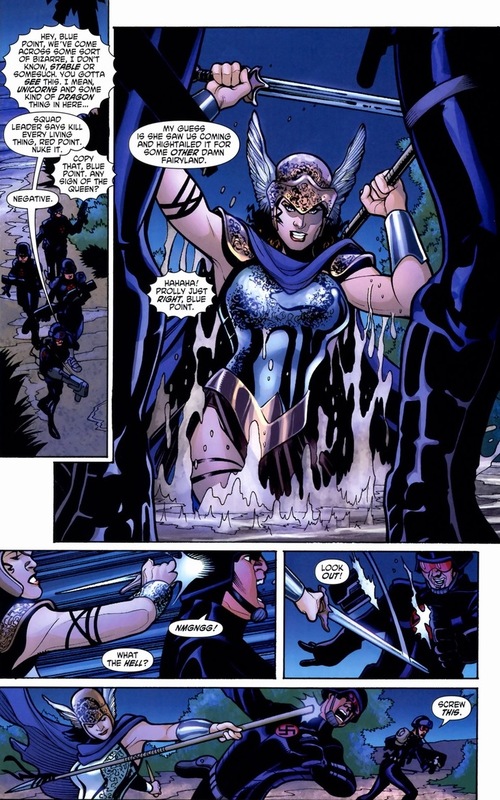 Only way to take down the Amazonian princess is with a good ol’ fashioned brawl against a woman who just so happens to also carry a sword, shield, whip, spear, bow, battleaxe, battle corset, ninja tiara, gauntlets. I bet even her fingernails are sharp and pointy. Plus, she can fly. 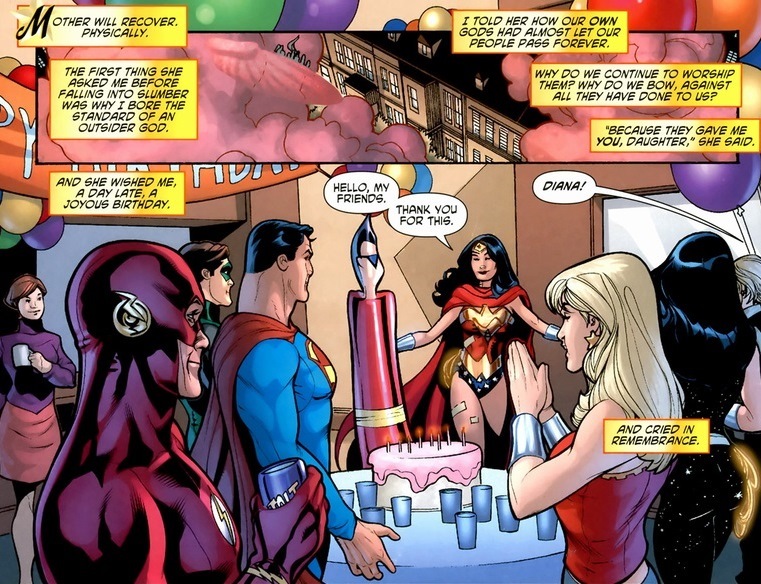 Sure, superheroes like Batman are scary and resourceful, but no one’s as dangerous in the DC universe as Wonder Woman. 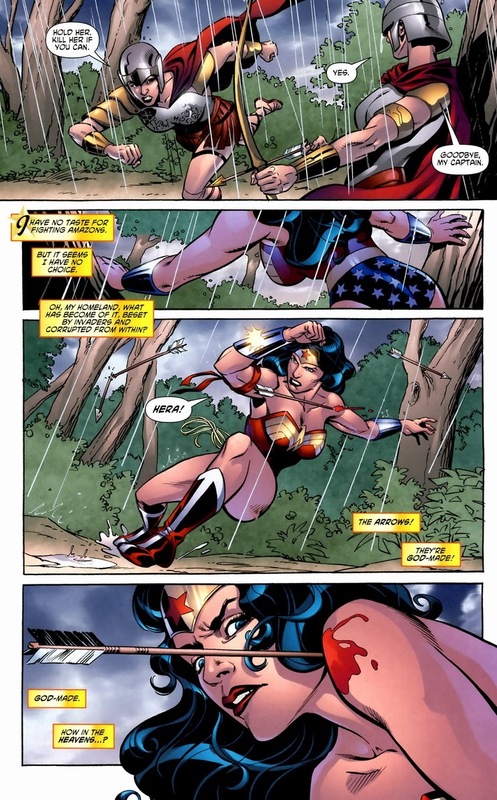 Speaking of wonder women, today’s article (Wonder Woman #14-17, volume three, drawn by Terry Dodson & Ron Randall) is written by Gail Simone, who I absolutely adore. Young girls seeking role models in the comic book industry need not search any further. 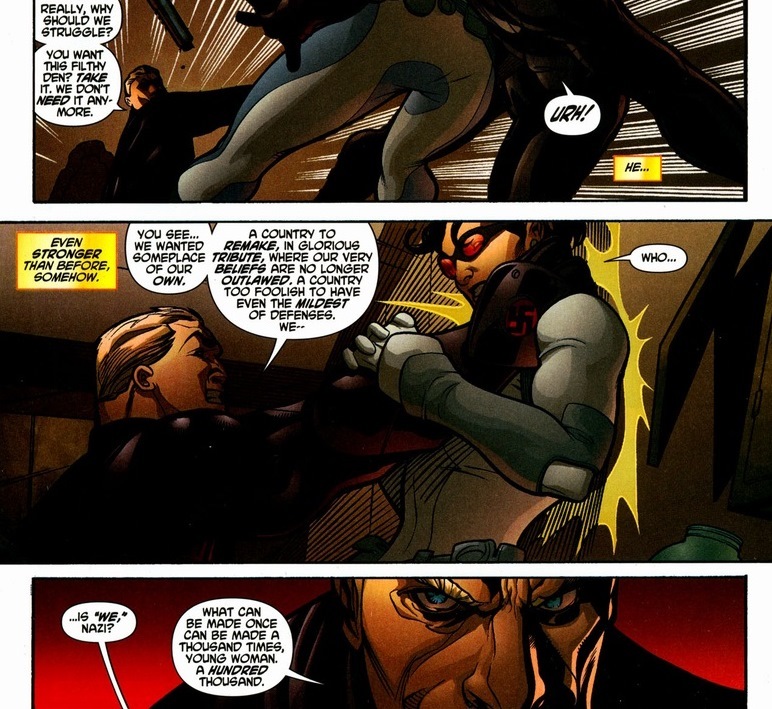 Check out her run on Deadpool, her current run on Batgirl, her masterpiece Secret Six (Bane! ), among many others. She’s three issues into Red Sonja too. You deserve to treat yourself. I know I don’t hype other writers as much, but the amazing female comic book writers really deserve more of the spotlight than they receive. You know what? Let’s devote this week to female writers. Kathryn Immonen on Wednesday then! 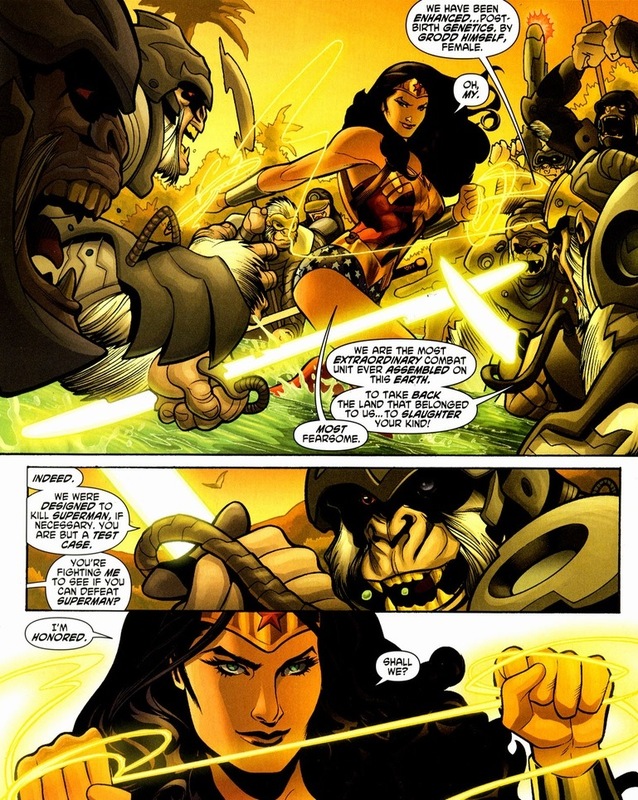 Our story begins today as all good ones do: Wonder Woman fighting an ape army. Look, while Superman has to be kind, merciful, and generous — he’s the moral center of the comic book world after all — no such precedent exists for Wonder Woman. That she chooses to be kind, merciful, and generous says more about her right as a superhero than her upbringing or moral code. I mean, she was brought up to impale and skewer her enemies. She’s very good at it. What makes Wonder Woman inspirational lies not with her superpowers, but with her desire to hold back those same superpowers. Though I always wished she wore pants. 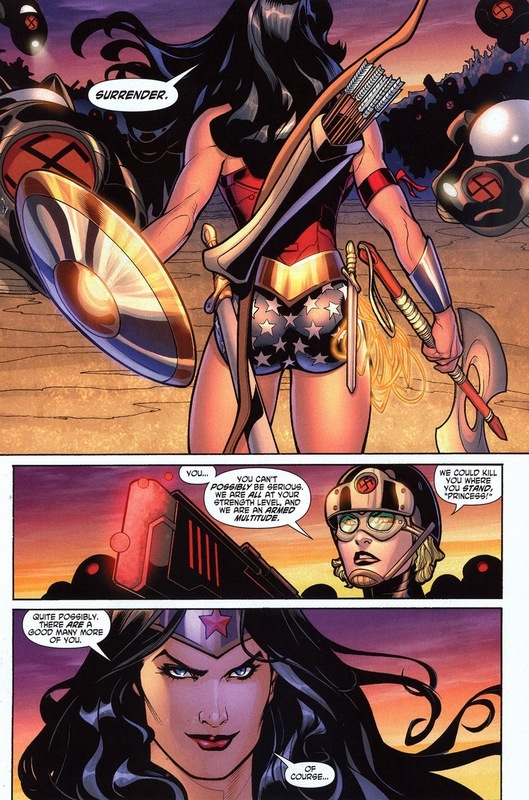 While in the New 52, Diana, princess of Themyscira and current God of War, possesses no need for a secret identity, she totally donned glasses and a hair tie for undercover purposes the previous decade. 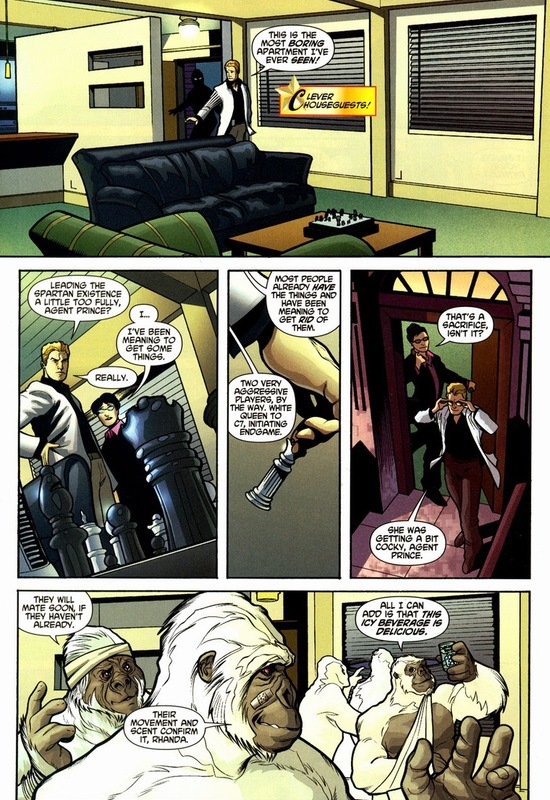 Meet Diana Prince, secret agent and hoarder of talking monkeys. So you know who’s a bad guy you might not have known existed? I’ve always loved Nazis as literary villains. 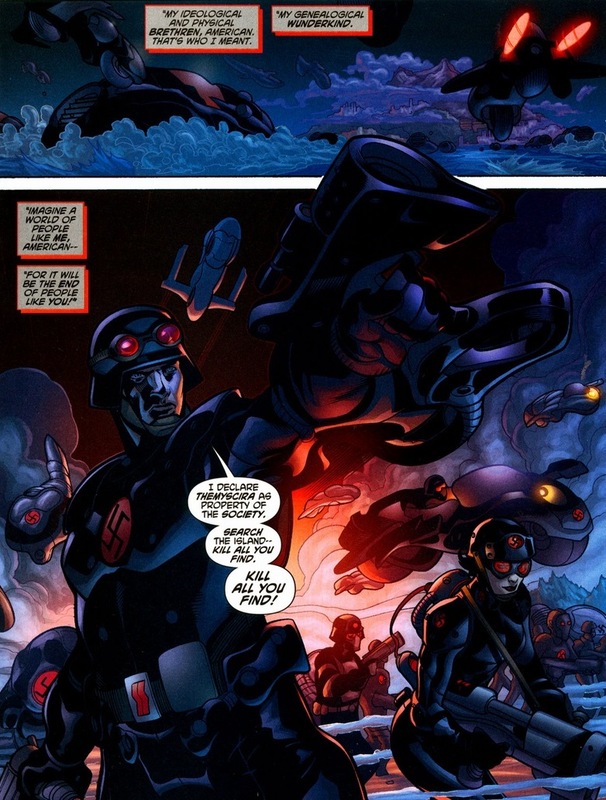 Writers don’t need any ominous exposition or bubbling evil labs when Nazis get introduced. We as readers are already completely on board with Nazis getting their butts kicked. 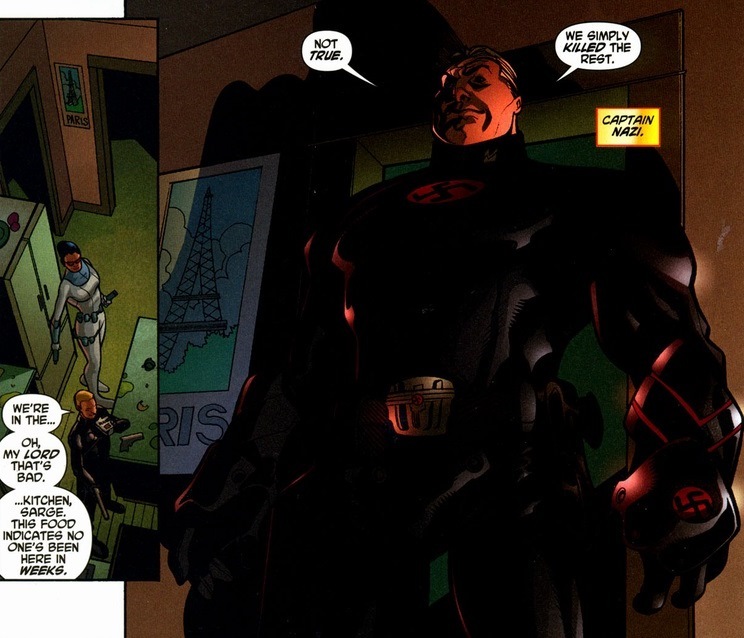 Still, DC universe Nazis get ambitious. Mythically ambitious. 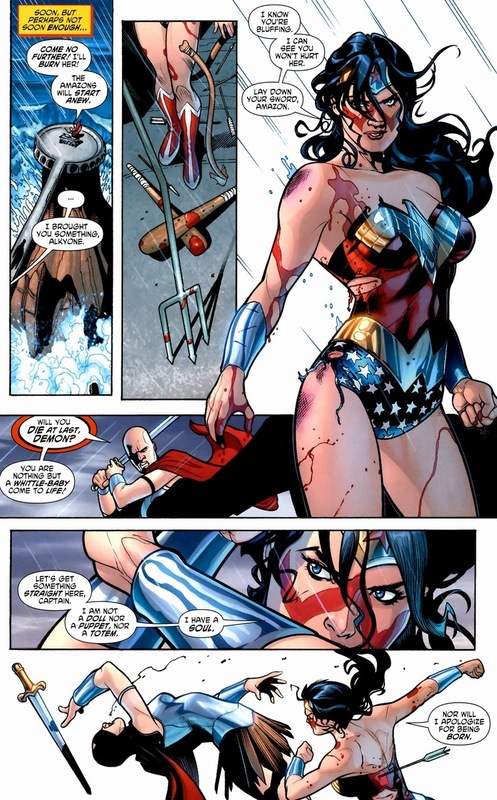 This battle also ends with mercy towards the bad captain, because Wonder Woman’s a better person than us. 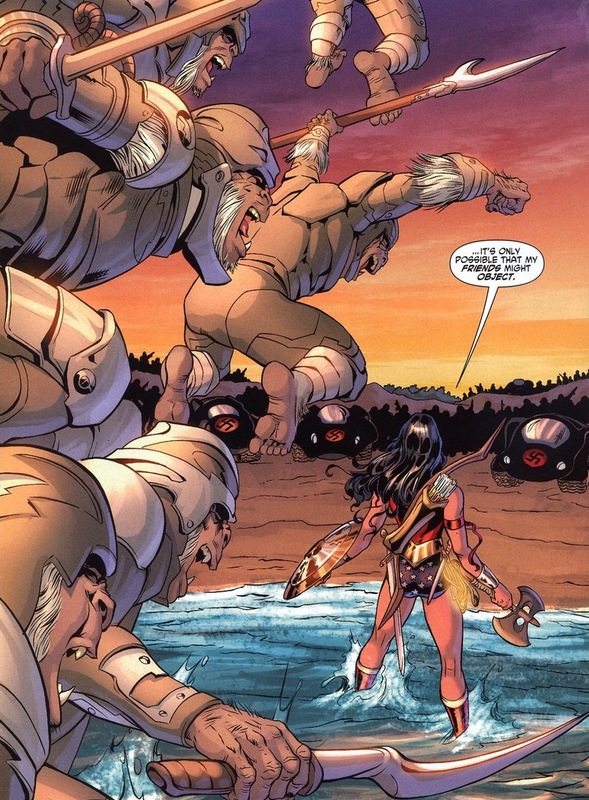 Back on Themyscira, how do the technologically superior Nazis fare against the Amazons? Once they get past the ambushes, I mean. We know how this war’ll play out. As well and inventive as the Amazons fight, they’ll need their superhero. The one whose name is in the title of the series. 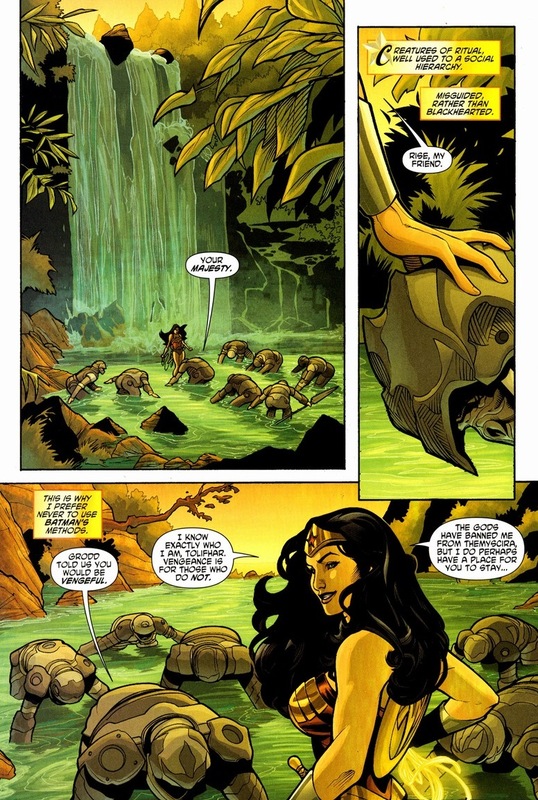 Banned or not, Wonder Woman knows that no fascist boots will ever permanently touch down on Amazonian soil. For glory and Anne Frank! Y’see, after Diana takes out the Nazis (and she does), the four former prisoners/guards and current Nazi collaborators still stand in her way of victory. 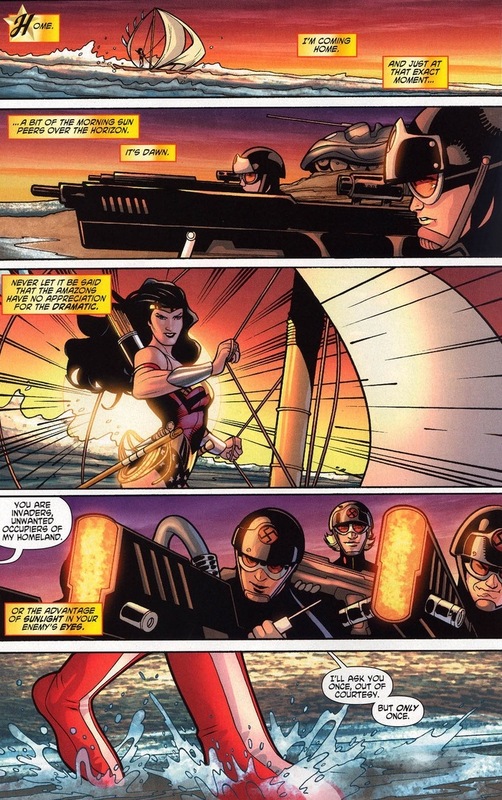 But first, even to Nazis, Wonder Woman stays her hand — because once again, she’s better than you in every way. Our finale has arrived! 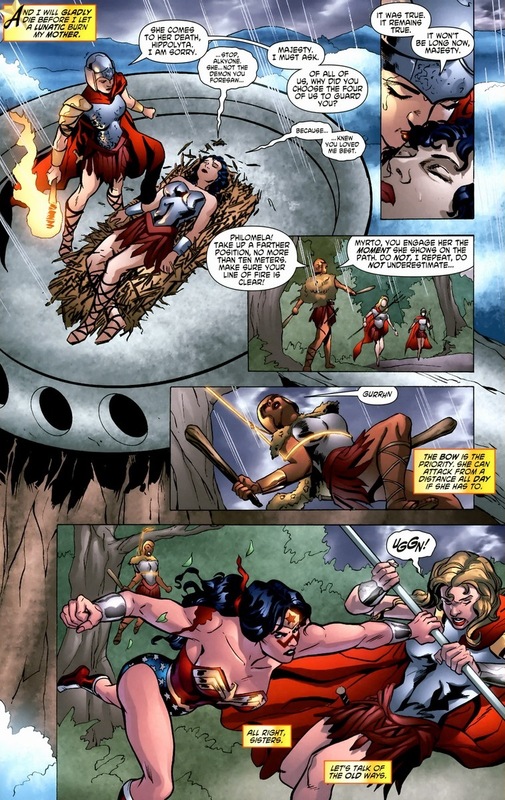 To save her mother, can Wonder Woman defeat four of the finest Amazons and save her island from their treachery? Spoiler alert: yes. But not at first. 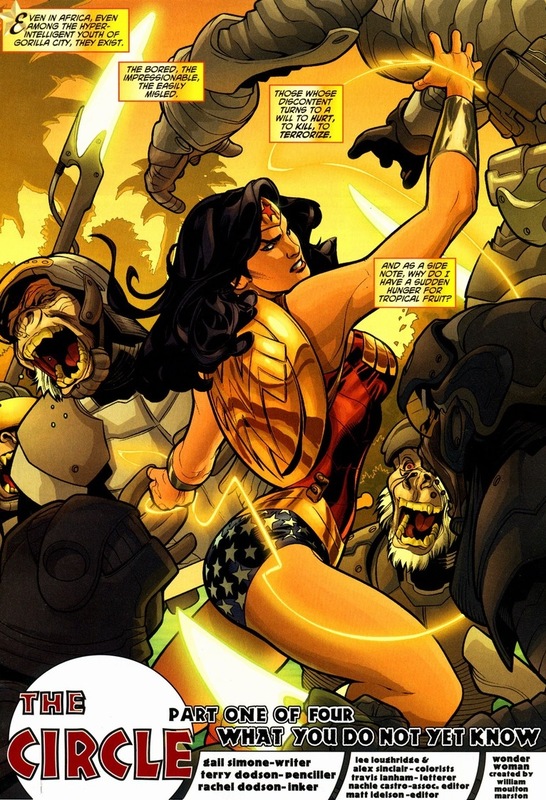 Turns out Wonder Woman fighting against four Wonder Women can be a bit tough. 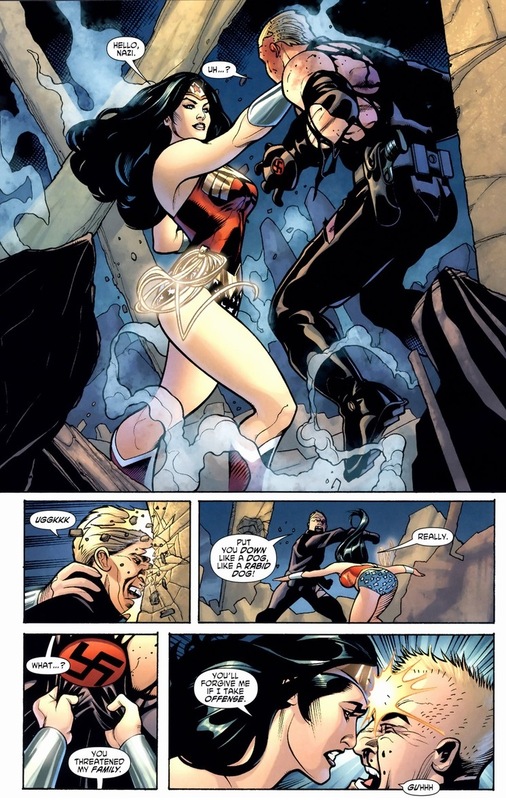 A club to the face can’t take down Wonder Woman (for long). Superheroes need to lose every once in a while. It shows the toughness of the bad guys and builds suspense. Read: every story Spider-Man ever appears in. Round two though, that’s a different story. Now, Wonder Woman didn’t choose her path in life. She didn’t ask to be molded from clay and given all these cool superpowers. 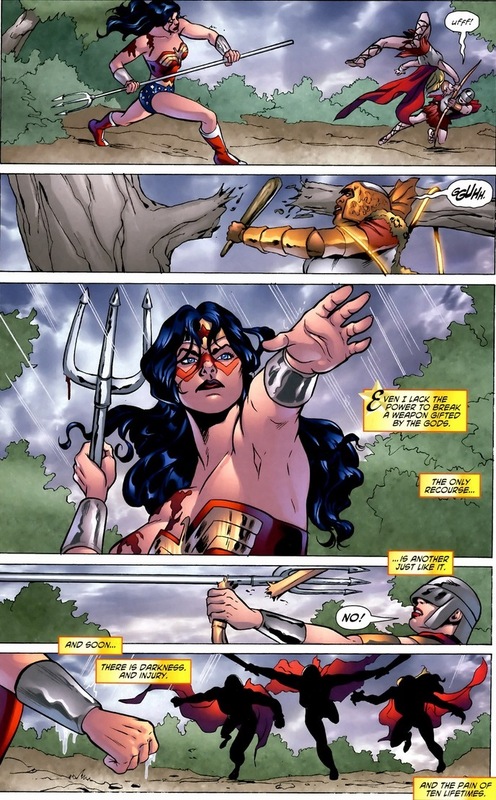 But she sure as hell isn’t going to bring about the ruin of Themyscira either. Superheroes are always misunderstood. Most importantly, regardless of her humble creation, she has become an inspiration through not her punching, but her positive actions, beliefs, and heroism. All while wearing a one-piece swimsuit. 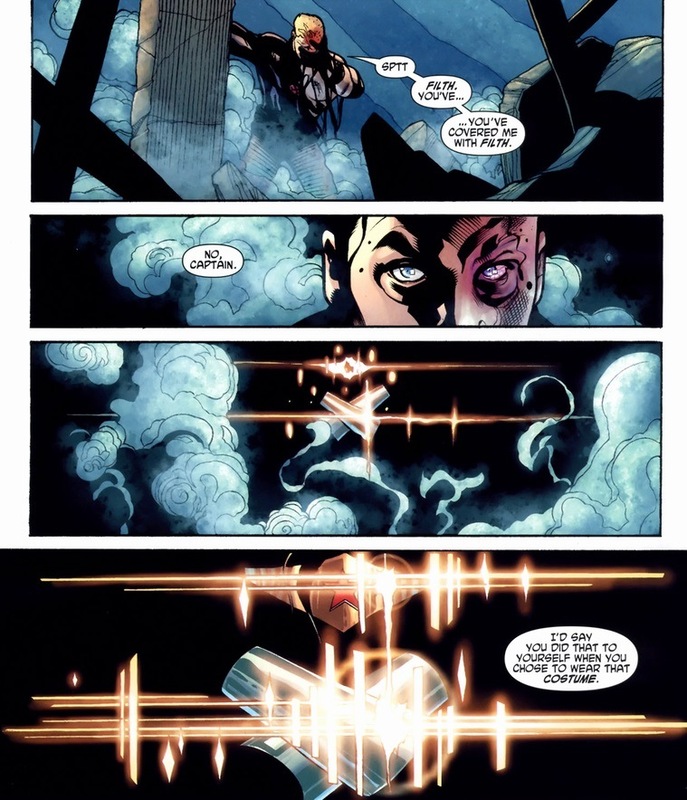 Her need to explain her reasons for existing is about as important as her need for an invisible jet. Finally, mercy even for those who don’t deserve it. You know why. 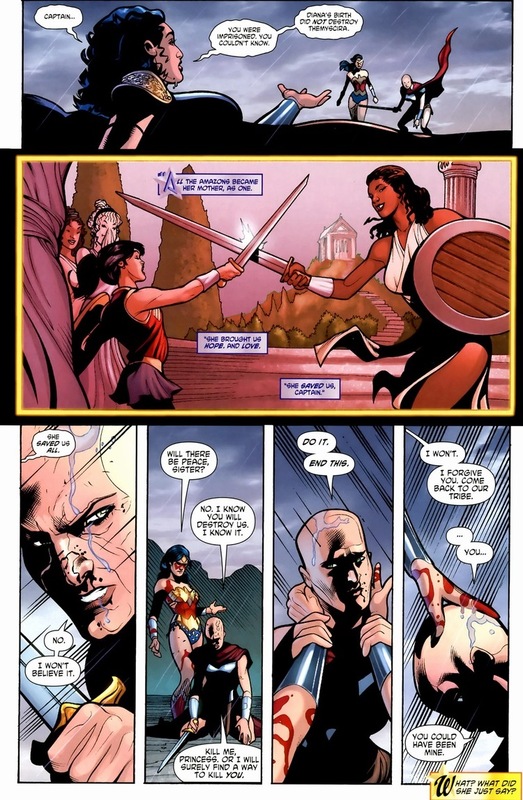 Look, this is not the first attack on Themyscira. The island has experienced loads of horrible destruction and soul-crushing pain recently. But as we end today, Diana’s mother explains why they must still hold onto to their beliefs and gods. Why the history and culture remains so important that four Amazonian traitors cling so desperately to it. Feel free to cry.